Resources cannot log into Roadmap but can be assigned to tasks. Resources can be people or companies. Project roles are used to describe the functional expertise of any user or resource. For example: Business Analyst, Developer, Sr. Designer, etc. 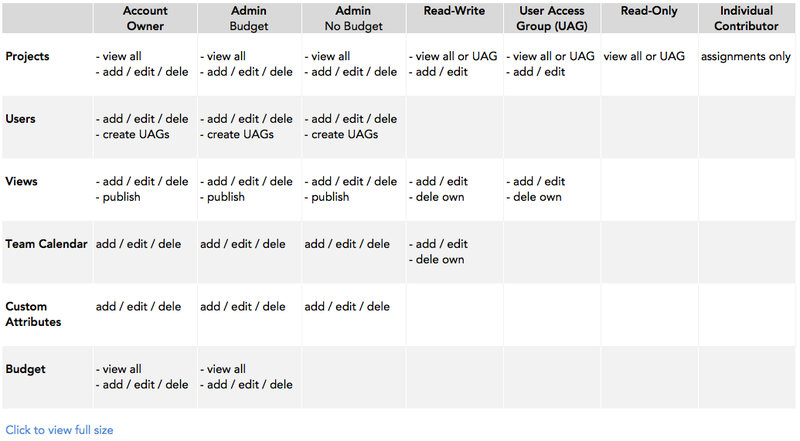 In contrast, the columns below represent system roles, which define access and permissions. You set or edit user permissions on the Resources Tab > All Resources view or the Resource 360 > Settings page, and set the permissions when first creating a user.